WIFS: The Global Leader Inspiring Women to Achieve Their Dreams. 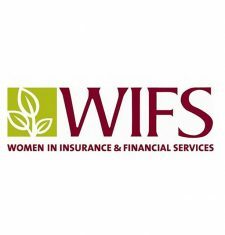 WIFS plans programs and delivers benefits tailored to the needs of its membership of financial advisors, agents, representatives, managers, CPAs and attorneys. Members benefit from monthly educational webinars on a variety of business and professional development topics, the mentorship program, and peer connection. More than three-quarters of 1,300+ members have 10+ years of business experience and earn $75K or more annually. 25 regional Chapters are active across the continental US and Alaska. The New York City Chapter of Women in Insurance and Financial Services is active and vibrant with a membership of over 50 motivated and influential members of our community. Many of our members credit WIFS and the relationships they’ve developed within the organization for the success they’ve been able to achieve in their businesses.